"We must express our gratitude to a great American." 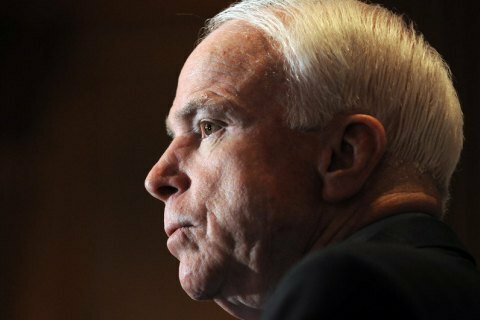 The People's Front faction in the Ukrainian parliament has called on the Kyiv city council to name one of the streets after late US Senator John McCain. "We must our gratitude to a great American who was a loyal supporter of Ukraine in the most difficult days and hours," faction leader Maksym Burbak said on 3 September. Earlier, President Petro Poroshenko suggested the street named after Soviet Cheka member Ivan Kudrya should be renamed after John McCain. However, the initiative goes against the Kyiv rules of street naming. A street cannot be named after a person during the first two years after the person's death.